As we enter the last days of Pesach, we've had our fill of new Passover music videos and we suspect you have too. But for our last Passover blog post of the year we just have to post this one from Argentina. Passover internet hits are no longer a young person’s game. 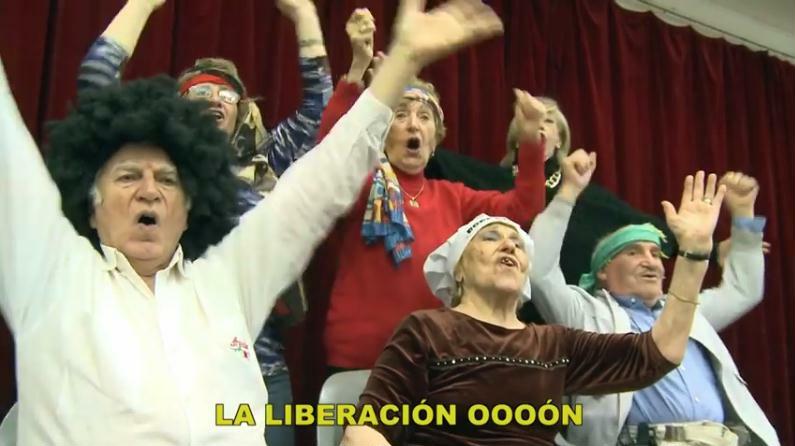 This year, a group of singers over 60 from the Jewish community of Cordoba, Argentina released their own Passover video clip, based on a pop number a little more to their liking — an Argentine rock ‘n’ roll song from 1964. We'll be celebrating the last two days of Pesach with our kids and grandkids so there won't be any post tomorrow, but we'll be back with our usual mix starting on Sunday. Wishing you a Chag Kasher v'Sameach. Wonderful music and great spirit. Happy Pesach to all. Chag Sameach.